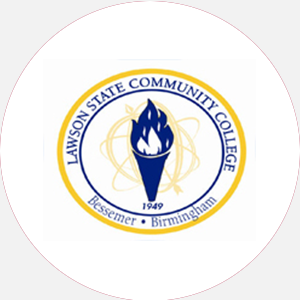 Lawson State Community College is a two-year, state-supported, coed college formed in 1975 by the me…. Lawson State is accredited by the Southern Association of Colleges and Schools (SACS) to award the Associate of Arts, Associate of Science, and Associate of Applied Science degrees. Graduation from an accredited high school (or equivalent) and completion of the following Carnegie units: 4 English, 1 mathematics, 1 science, 3 social sciences, and 7 electives. No application fee required. August-May (semester hours) Commencement and conferring of degrees: May One summer session.